Impressive, right? Well, Tadić is proving why he is an integral part of the team’s success through his assists, too. and supporting Ajax forwards Hakim Ziyech, David Neres and Klaas-Jan Huntelaar. Aside from focusing on the stats alone, the in-form attacking midfielder’s performances speak volumes for his ability on the pitch. 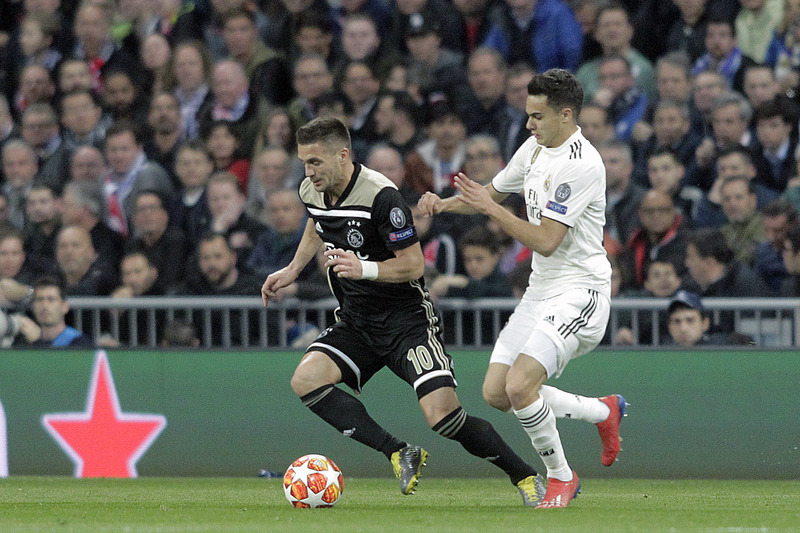 Tadić’s threat was noticeable from the moment that he picked up the ball in the opening half, finding himself surrounded by four of the Madrid players and only to proceed by skinning Casemiro apart with a brilliant roulette. He wasn’t done there: he slotted the ball perfectly into the path of Neres, who scored Ajax’s second of the match. It’s also worth remembering that happened after he assisted Ziyech for the opener of the match. Tadić’s performance was so impressive that it earned him a rare 10/10 score from French publication L’Équipe, with only eight of those ratings being handed out before his masterclass of a performance made him the ninth player to reach that feat. 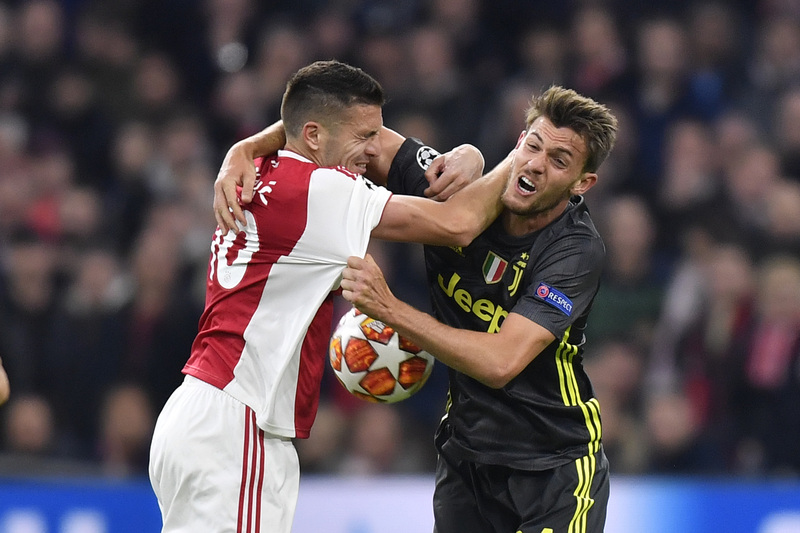 While it might be easy to sing his praises now, there’s no doubt that Ajax head coach Erik ten Hag knew exactly what the club were paying for in Tadić. “When it all comes together, Dušan Tadić will be a fantastic reinforcement, a top professional,” he said. “That makes him an example for his fellow players, both on and off the field. We have many young players, many big talents that the top teams in Europe are after. They can fit together perfectly with such a player to help Ajax win trophies. 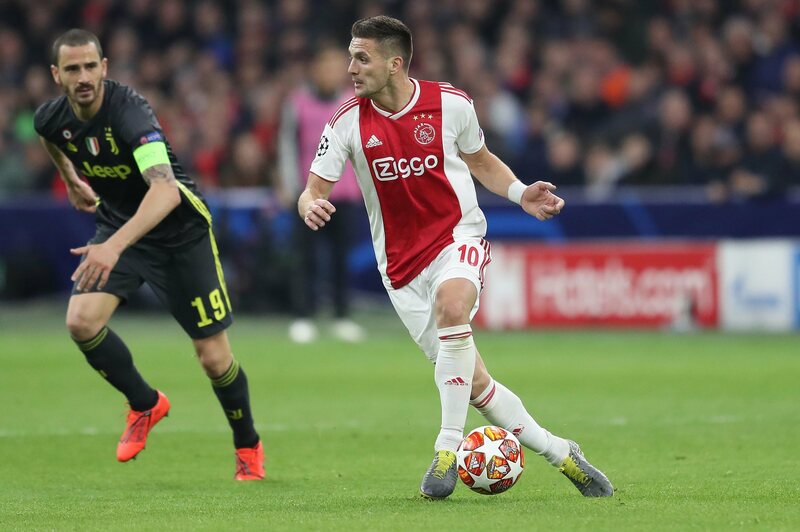 Tadić played his part in Ajax’s 6-2 thrashing of Excelsior on Saturday, in which he scored in the first half and completed his brace in the second half when he fired home from the spot kick. – He’s bagged against Benfica, Bayern Munich and Real Madrid in the CL.